If you simply need to factory reset your Android device, just go to Settings > Backup and reset > Factory data reset and select “reset phone/tablet”. Device will reset. But sometimes due to some internal problems this option is not easily accessible. Such as you forget your unlock password or pattern or Screen now appearing with “too many invalid login attempts”. For this Recovery boot menu is a last option. Using external buttons and proper combinations this reset is possible without affecting your device’s actual health. WARNING – Take necessary backups as there is no Undo, and keep battery levels high. Switch off the tablet, press and hold power button for few seconds to complete the action. 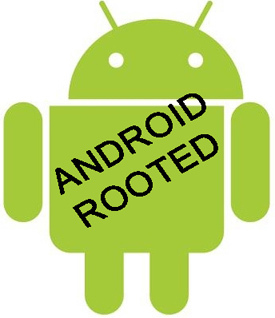 Boot device into Recovery Mode – Press and hold the volume down button and power button simultaneously for few seconds, keep pressing the two buttons to launch the android root screen (Android green bot will appear). There are few buttons are also possible depending upon your device make. Try to use the correct combination using Google search for your specific model. In some cases if recovery mode is not launched even after Android bot logo appear, press and hold volume up button for some seconds, while it appears release the volume up button. Now in Recovery menu, use volume up-down keys to select options. Select “Erase/Wipe data and Factory reset”. Select this option by pressing the power button (use power button to select the option) Select wipe of all user data by selecting Yes at the next screen. Your device will reset to original settings and all lock codes/lock pattern will disappear – Wait till it completes, when it completes, select “reboot system/device now” and finished. Your device is completely new condition now. Switch OFF the tablet and press the power button, When MMX logo appears keep press and release the volume up button 7 to 8 times. An Android logo will appear, Now press volume down button. Go to Appear > wipe data / factory reset. Press the power button to enter into sub menu. Select delete all user data. That’s it!